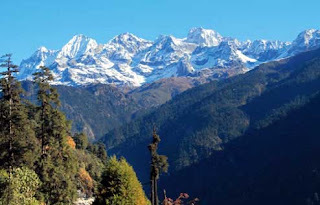 The Kanchenjungha National Park in Sikkim has been put on the Unesco's World Heritage List along with Chandigarh's Capitol Complex and the Nalanda University in Bihar. This is the first time any country has got three sites included in the heritage list in a single session of the World Heritage Committee meeting, a Union culture ministry official said. The meeting was held on Sunday in Istanbul after being suspended a day earlier because of a failed coup bid in Turkey that killed hundreds. The Unesco site described the Kangchenjungha National Park (in picture) as "a unique diversity of plains, valleys, lakes, glaciers and spectacular, snow-capped mountains covered with ancient forests", including the world's third highest peak, the Kanchenjungha (8,586m). The Capitol Complex in Chandigarh is among 17 sites by Swiss-French architect Le Corbusier whose work has been included in the cultural section of the heritage list. The sites are spread across six countries, among them Japan, Argentina and France. The Nalanda Mahavihara site in Bihar "comprises the archaeological remains of a monastic institution dating from the 3rd century BCE to the 13th century CE", according to Unesco. The site includes stupas, shrines, viharas (residential and educational buildings) and important art works in stucco, stone and metal. The Unesco noted that the historical development of the site "testifies to the development of Buddhism into a religion and the flourishing of monastic and educational traditions".